Track features sporadic chants in Arabic with a chorus sung in English entering in the second Chorus. Alto Sax enters in the pre-chorus and takes over in the chorus section bringing the song back to the west with that universal saxophone sound. The track features (live!) percussion and pizzicato strings throughout. In 7/8 time this song was inspired by rhythms from Tajikistan. The story is about a man who crys out in pain about having left his homeland. Results: Viewing items 1-5 of 70. 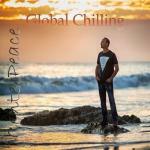 Love the middle Eastern chill vibe of this track, very meditative, very soothing. Great job. Love it!